I have a new appreciation for @Nike. With their recent announcement, I can see that they clearly understand something I often talk about: the importance of building a tribe rather than a customer base. A tribe consists of people with shared core values, driven by a collective purpose, rather than just those looking for quality or a bargain. By demonstrating their core values in such a strong statement, Nike has shown that a) they're not afraid to stand for what they believe is right, and b) that they aren't concerned about offending people. Their stance is particularly relevant to Millennials who, as buyers and employees, are extremely concerned with a company's core values. By giving this honest, authentic look into the soul of the company, Nike understood that, while they may piss off a few people, those who agree with them are going to gain a much greater appreciation of the brand. 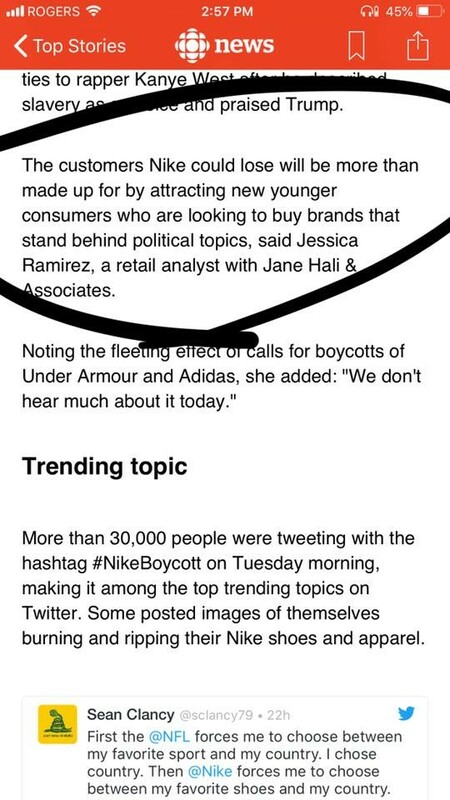 Taking a stance has shown that Nike is ready to be an active part in shaping social and political issues that brands have so often stayed away from, and it shows a very sophisticated understanding of what modern consumers are looking for from their brands. Businesses need to start paying more attention to their purpose. Your WHY matters, and it's precisely what the young, cause-driven customer is attracted to. Too many companies stand for nothing or everything. That yields mediocrity. Millennials want to know you're willing to stand for something powerful; something beyond profits. When a business makes the bold statement that Nike just made, they gain more of their ideal customers. So, ask yourself - are you making bold enough statements that resonate with your core values? Do you even have a set of core values that inspires and motivates the people who work for you and buy from you? Maybe it's time to burn the old mission and vision and start building something that matters. If this is your reaction to Nike's stance, keep your lighters and scissors close because you're likely going to have a lot more things to burn and cut up. Nike won’t be the last brand to take a stance on an issue that matters, especially because of all of the support they have received after this move. Besides, they have your money already, so the only thing you're hurting with these actions are your closets.